If you would like me to come and talk to a conference or a school, then please contact me. October 2018 Espoo, Kohur: Assessing students in the modern classroom. 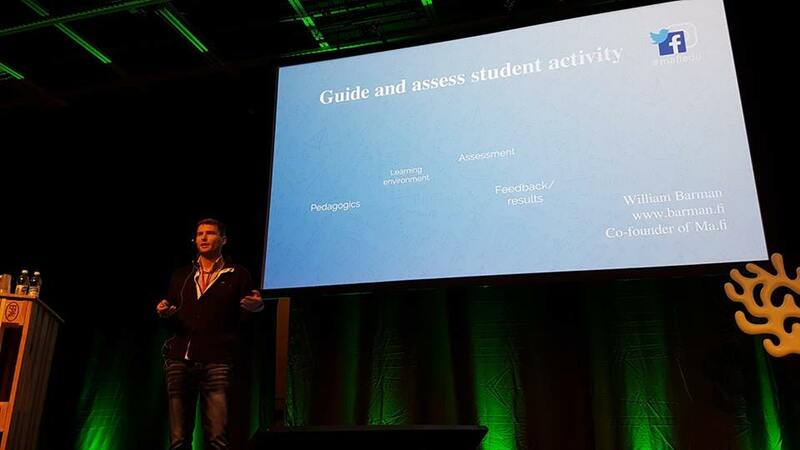 September 2018 Helsinki, SETT Finland: Guide and assess student activity. September 2018 Helsinki, Kulturfondens PISA seminarium: How can schools improve teaching in mathematics with Ma.fi? June 2018 ILETS whatsapp group for teachers in Nigeria: Are tests necessary? Mars 2018 University of Helsinki: Digital learning environments. April 2016 Malmö Sweden, Framtidens läromedel: Introducing Ma.fi in Sweden.